Xenograft mouse models enable novel therapies to be assessed in a preclinical setting prior to the start of expensive clinical trials. 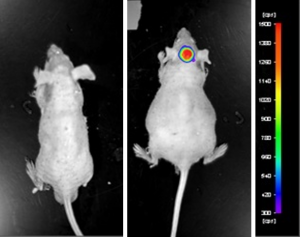 The A375 CDX mouse model enables the researcher to perform target validation experiments in a model that incorporates vasculature for drug delivery, receptor signaling, tumor microenvironment and drug clearance. Therapeutic approaches that utilize the A375 preclinical mouse model include BRAF inhibitors (e.g. vemurafenib, GDC-0879), CDK4/6 inhibitors (LY2835219) and BCL-2 targeting to destroy the subcutaneous tumor.